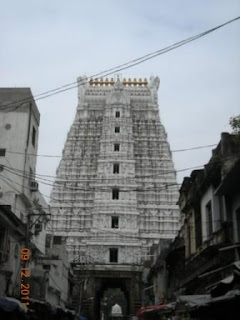 Sri Govindaraja Swamy is the elder brother of Lord Balaji and his temple-- Sri Govindaraja Swamy Temple makes for a prominent landmark in Tirupati town. The distinct feature of Sri Govindaraja Swamy Temple is the imposing Gopuram (elaborately carved entrance gateway) which can be seen from a distance. One thing is for sure that you will not regret a trip there. But I'd suggest you to check a few more places to visit in chittoor as well before planning the trip there.